Samsung is in talks with hardware makers to extend its mobile payment service to other phone brands, reports Gadgets 360. There are a couple of different ways this could work: Samsung might either convince companies to embed a Magnetic Secure Transmission (MST) chip in future handsets so they can mimic a card swipe, or sell them an after-market accessory to enable payments. That’s really Samsung Pay’s big draw over Android Pay, which works only over NFC. While it sounds absurd for phone companies to adopt and offer a clearly branded service from a major rival like Samsung, it could make sense for hardware companies that presently can’t invest in building their own payment solution or find it feasible to support for a small number of customers. That shouldn’t be a problem for the South Korean megacorporation, though. 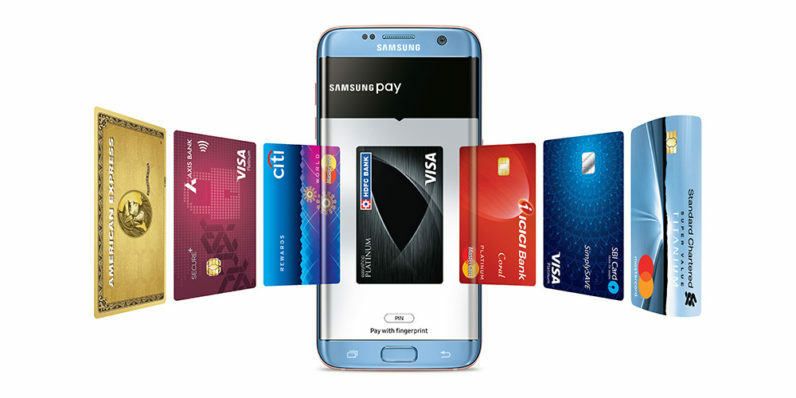 Having launched Samsung Pay in 2015, it’s since racked up about 34 million users – a full 10 million more than Android Pay. It even has a limited Pay Mini variant of the feature that works on budget phones without the MST chip (you can use mobile wallets and supported bank accounts with it to make purchases, provided you have a data connection). Samsung is clearly keen on growing Pay worldwide: it recently launched the service in India, where it claims 48 percent of the premium phone market; it’s also rolled out several budget phones with Pay Mini in the country.